Shenmue III? Check. Final Fantasy VII remake? Check. The Last Guardian? Check. Beyond Good & Evil 2? Well, it’s complicated, but it’s not sounding good. A few years later, leaked footage from the game seemed to surface. Creator Michel Ancel started his own studio in 2014, but was apparently still tied to Ubisoft in some ways. This left some hope he was creating his new game, Wild, and Beyond Good & Evil 2. Since Beyond Good & Evil 2 didn’t show up at anyone’s press conference, the wait began for someone in the press to ask Ubisoft about the game’s status. It’s an annual, depressing ritual. The latest news came from GameSpot news editor Tamoor Hussain, who briefly talked about the project during a video about the then-upcoming Ubisoft press conference. I say “reportedly” because IGN soon took the article down for reasons unknown. The cached version is still up. The article’s author, Mitch Dyer, hasn’t commented on the article’s disappearance, nor has IGN. Ubisoft did not respond to my request for comment. When asked about Ancel, Key seemed to confirm suspicions the developer wasn’t working on it. 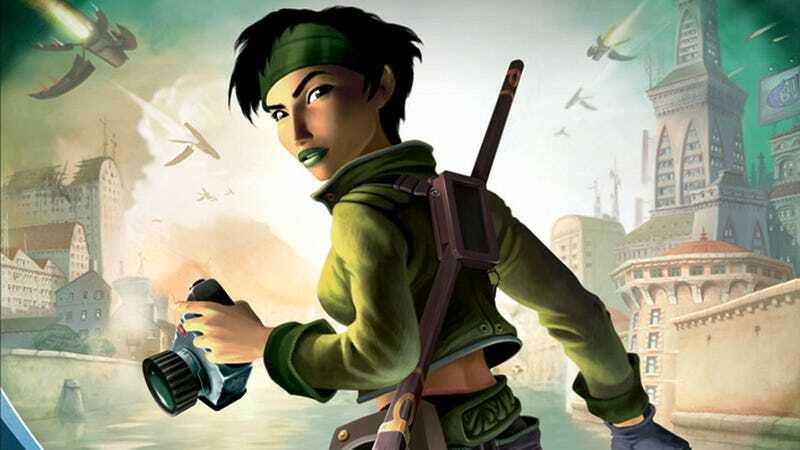 It may be time to move on, Beyond Good & Evil fans.